...Major League Ultimate Vice President Nic Darling said the league has very much of a startup feel. "A lot of people are putting in a lot of work to make this thing work," Darling said. "The 2013 season is our proof-of-concept season ... we love this sport, obviously that's part of the motivation, but people see we have a very good opportunity here, I think a lot of people have been buying into the opportunity." Darling compared the small stipend players receive to the fees they used to pay to participate in club ball for years. [Ultimate] Teams could spend $4,000 to $6,000 a year to travel and pay for equipment. "We cover all costs, travel, insurance ... to give a semi-professional experience, and they can still go home during the week and work your day job." 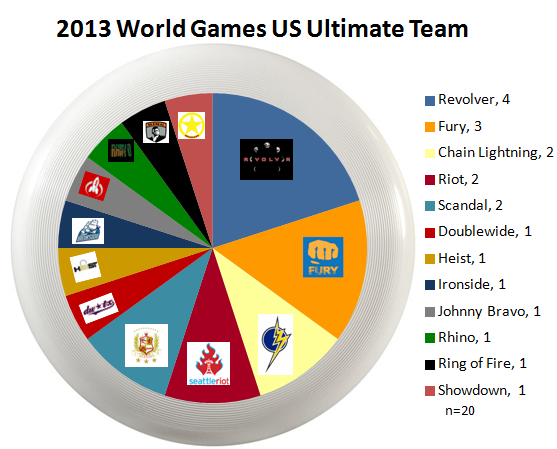 A follow-up to the World Games Ultimate tryouts, as USA Ultimate announced their final team of 20 players (9 women; 11 males) for the upcoming 2013 World Games. Notes: Revolver (4, 20%); Fury (3, 15%) have the highest club team representation. A total of 12 (7 men + 5 women) club teams are represented. No mixed teams players were selected. 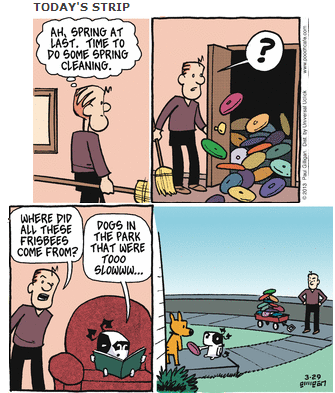 Man: Where did all these Frisbees come from? RELATED: [Chart] Location of my discs. Part of the series critiquing the professional Ultimate team logos and nicknames. Disc within logo? : Yes. // Ultimate element in team name? : No. First impression(s): That over-sized black collar is still worrisome. Also, see 2012 review. Eli's Eval: I appreciate the realism here, this is no Atlanta Hawk or Ohio University Attack Cat. The drawing itself is a nice one, and the head seems anatomically correct, but the tail is huge and is not attached to a body. The feline does look a bit more like a bobcat than a house cat gone feral, but there are a lot of breeds of cat and I'm no Felinologist. Nice drawing; poor execution. Looks a bit like clipart cribbed for a beer league softball team. 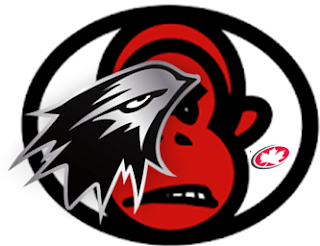 Thoughts on this AUDL's team name & logo? Disc within logo? : No. // Ultimate element in team name? : No. Background: Classic case of "You get what you pay for" -- $137 in an online design contest?! First impression(s): The "Mechanix" typeface is sorta likable though illegible; especially you, "M"! Also, see 2012 review. Eli's Eval: Not the logo, but why on earth would they spell the name like that? In combination with the actual logo it looks like one of those new LEGO sets that make a robot. Another logo element (below) found on their site is that they're using a different logo on the website than they are on the jerseys and other gear. 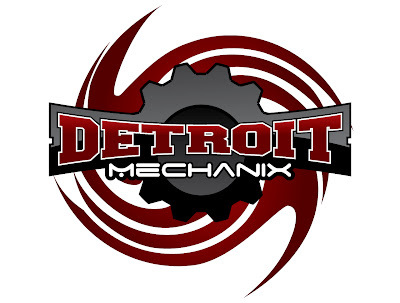 This alternate logo has a cog/gear instead of the "O" and what looks like the word "OM" inside the gear. Another case where I know what the designer was thinking but they just did not execute a backwards "D" and regular "M". Just leave it as a gear. Hurricane graphic (top), and really all of the graphics, seem slapped together without cohesion. Some good ideas but over-designed and in bad need of editing. Low marks for inconsistent branding - have 1 logo, 1 icon, 1 wordmark. Last year during the evaluation of the 2012 AUDL team logos, a recurring question was asked: "Why?" I explained that if a professional league – now, professional leagues – wanted to be taken seriously as "professional," then they should appear "professional." Sure, I wish the sport to be lauded on its athletic merits, but pro Ultimate will also be judged on its product, which are team branding logos. Regardless of their financial motivations, the two leagues – AUDL & MLU – have an inherent responsibility of representing Ultimate. Not just Ultimate, AUDLtimate and MLUltimate. I welcome Eli Neugeboren to evaluate and grade the 20 professional Ultimate teams this year. 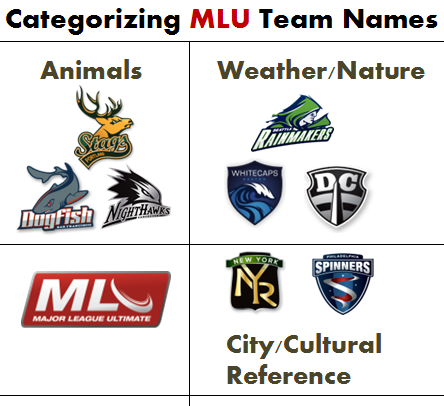 So, COMING SOON...a critique of nicknames & logos for all of the pro Ulti teams. Ultimate has made the jump and is now a professional sport. Not just a couple of teams with sponsors, but ownership, contracts, stadiums (ahem), and everything else that goes with being professional. One thing that has not been as considered in making the jump to being professional is the thing that should have been considered first: the branding. Launching a professional league calls for having a professional brand identity, from uniforms to merchandise to the website (the first point of contact these days). This has not been the case for the AUDL, nor the MLU. 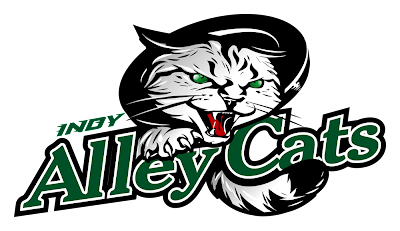 Most of the logos appear to have been designed by amateurs or students, and with the start of the seasons mere days away, most of the websites have nothing more than a homepage and a bunch of broken or "under construction/coming soon" links. Here is the rubric for grading these brands (borrowed from Brand New, a division of Under Consideration): On Logo; On Typography, plus a final grade. Yes, finding a category for the Revolution [360 degrees] & Radicals [Radical axis] was a challenge, but eventually settled. 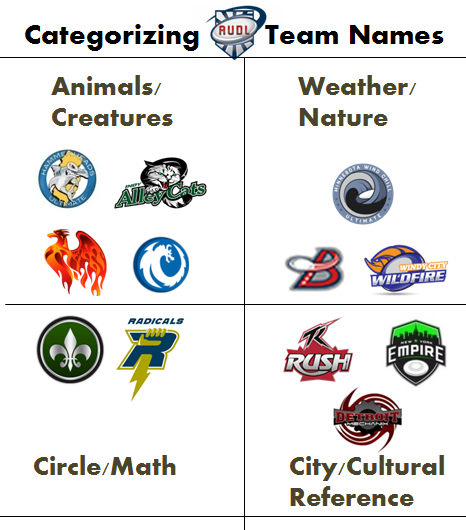 What other ways might professional Ultimate team names be categorized? Sludge played well right away with D-oriented offense. Up 5-0 courtesy of Mathew's flick to Rachel, Henry's toss to Jen at the cone, Chris' catch deep in the endzone, Joe's juggling catch on the sideline, and a Charlie-to-Steve connection. By 7-1, Sludge had to gnaw their way out of Disc Toast's encrusting zone cup; Henry's hammer followed by Steve's hammer to Matthew then to Chris. And, another zone flow point from Sarah to Chris. DT took advantage of some early-in-the-offense turnovers by Sludge. There were sideline remarks at Sligo about a "rushed" offense contributing to those late first half turns. 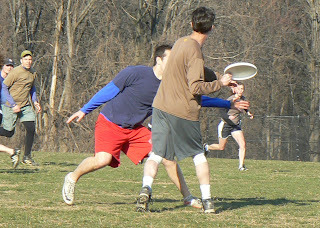 At 7-4, looking to quiet the sideline with Girl Scout cookies, Brian dropped the pull (hey, it was sunny!). But with a DT turnover, Brian redeemed himself with a high-stall, high-arced cross-field flick to take half; 8-4. Henry started second half scoring with a strong, low backhand through the middle of the field; 9-4. As conditions were less windy and Sludge D became less effective (correlation? ), momentum started to shift. 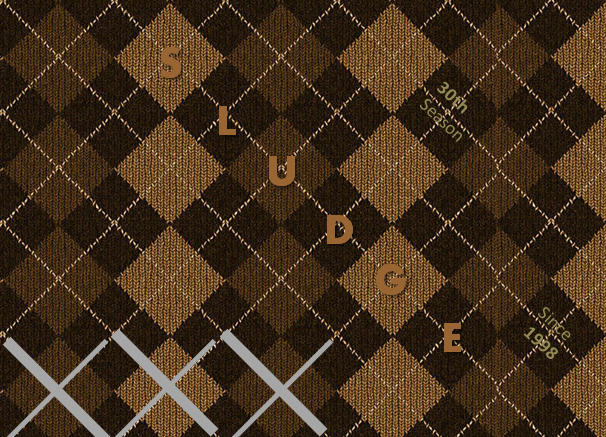 Sludge's "rushed" O made unwelcome appearances during this time, too. At 9-6, Christy threw a hammer (causation?). Sludge did show some very patient zone offense with their 11th point featuring Michael's fake to Jen which opened up a throwing alley to Chris. The team with brown jerseys kept scoring in the second half even though the offense acted like the vehicular traffic en route to the game -- stop-&-go. Mike threw a score to Sarah; 13-8, 14-10. Steve finished the game with a high floater to Christy in the back of the endzone; win 15-10. With Major League Ultimate's season being scheduled before the Club Ultimate season, it makes sense that teams would draw from Club-level players. 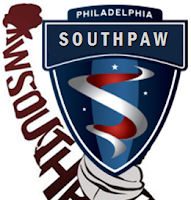 Nearly two-thirds of the Spinners' roster are Southpaw players, with the remainder as former Southpaw teammates, as well as from AMP, Termite's Revenge and Philly Gavel. 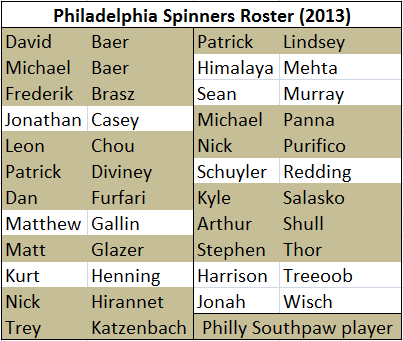 Philadelphia Spinners' 2013 roster was compared to Southpaw's roster. Out of the 23-person MLU roster, 15 (65%) are Southpaw players. 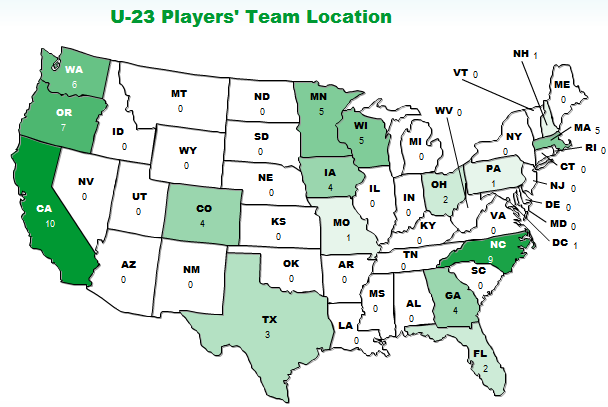 Also, the Spinners have 13 players returning from their 2012 roster - the most of any(!) MLU team. Thanks to Ryan Thompson who assisted with identifying Philly players. Related Rosters: DC. Seattle. Boston. San Fran. Vancouver. Needed: Your input about Ultimate as a sport. Background: Ultimate is NOT listed in ESPN's published rankings for 60 sports. 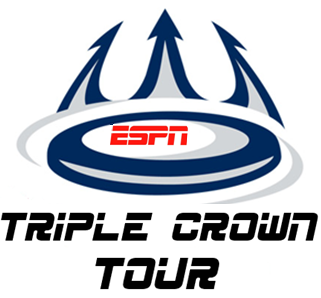 Survey's Purpose: Where does Ultimate rank within ESPN's "Top Sports"? Results: Survey results & analysis will be published online. 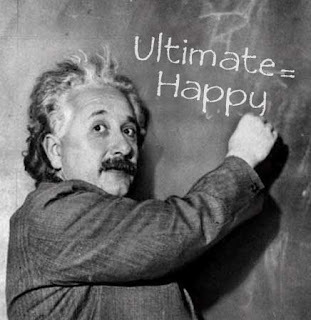 Back in August 2012, I read a tweet that prompted me to quantify Ultimate as sport. For all the ways to describe Ultimate (soccer-esque, basketball-ish, tennis-like, quasi-football, with a flying disc), this ESPN "Ultimate Degree of Difficulty Grid" helped me break down the Ultimate sport. Again, Ultimate is *NOT* on the ESPN list. After that tweet, I thought about how to conduct a similar evaluation of Ultimate as a sport. 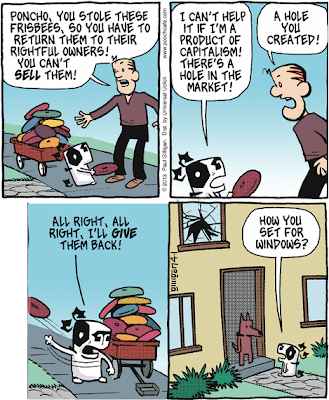 I have lots of ideas, so my first step was to see if my concept was even feasible. I contacted Ultiworld after meeting him in the fall, and Charlie validated my idea. I also asked UltiCards & they excitedly responded with a blog post about it. ESPN's approach was they identified 10 categories, or skills, that go into athleticism, and then asked their 8 panelists to assign a number from 1 to 10 to the demands each sport makes of each of those 10 skills. The Top-10 ESPN Sports are: (1) Boxing, (2) Ice Hockey, (3) Football, (4) Basketball, (5) Wrestling, (6) Martial Arts, (7) Tennis, (8) Gymnastics, (9) Baseball/Softball, (10) Soccer. I then developed a survey to capture the 10 areas for sport evaluation, plus some demographic data. The survey launched with the help of a lovely coder who allowed many 'just-1-more-edit' updates. Finally in March 2013, I surveyed a range of Subject Matter Experts (SME) within the Ultimate field (i.e., trainers, teams, players, pro leagues, instructors, media, etc.) asking their objective opinion. Immediately after asking the SMEs, you may have noticed some comments [Skyd, Ultimate Rob, ultimateproblems] about this very query -- Where would/should Ultimate rank in the ESPN Sports list? Since then, interestingly, USA Ultimate announced their deal with ESPN. Now that the SMEs have had their say, the survey will soon be is open for YOU to weigh in. Look for the survey to be opened very soon now. Survey results about Ultimate is expected to be shared here & on Ultiworld in the near future. Giving credit due where credit is deserved...thanks again to Jeff Snader for influencing this effort. 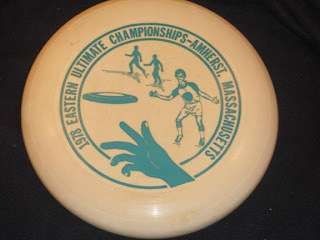 This disc - no doubt a Wham-O - was once called "the ugliest disc design in the 20th century" by Sholom (Eric) Simon. 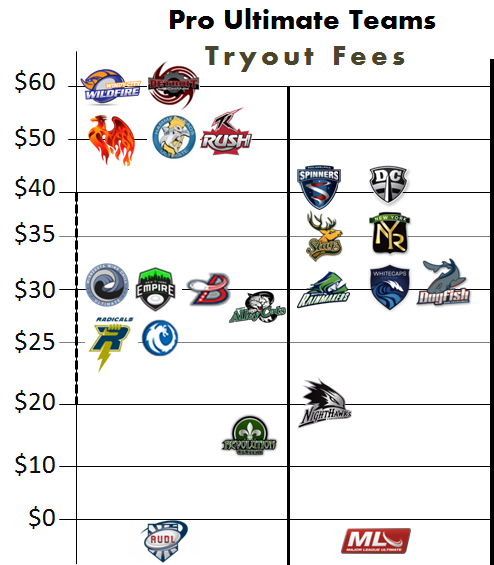 Over the past 8 months, pro Ultimate teams have organized (AUDL) tryouts and (MLU) combines to assess players for their upcoming 2013 pro Ultimate seasons. New Jersey began tryouts in August 2012 while Vancouver just completed theirs on March 14th. Prospective players were charged a registration fee for the opportunity to tryout, &/or be featured on TV, given team swag. Note: Dollar amounts shown were the published online registration fee, not the higher "at-the-fields" amount. 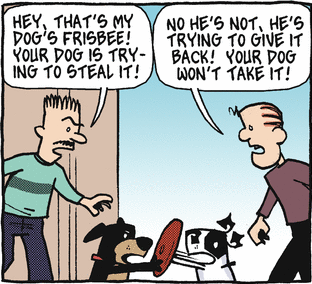 "First of all, I don't like Frisbee, I love it. 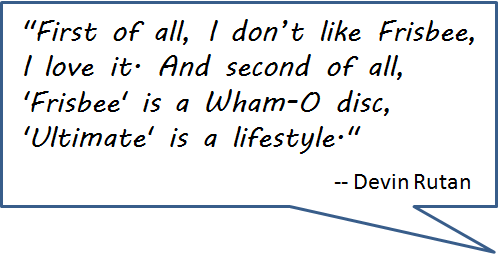 And second of all, 'Frisbee' is a Wham-O disc, Ultimate is a lifestyle." 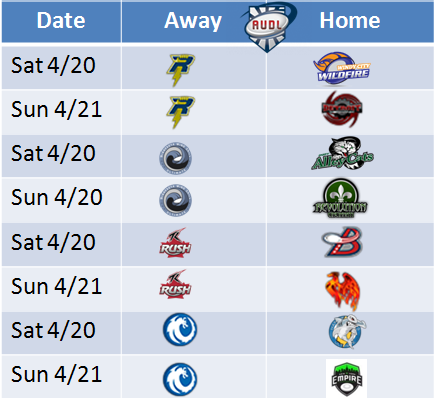 The AUDL season begins before the MLU, but its full schedule starts on the same weekend - 1 month away! 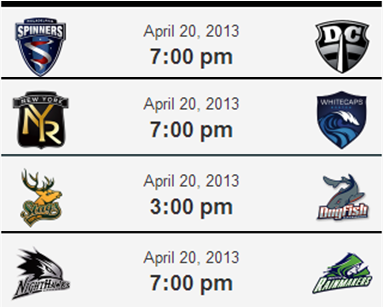 Eight AUDL pro Ultimate games are scheduled; 4 on Saturday April 20th & 4 on Sunday April 21st. Four teams have back-to-back games that weekend. Some AUDL teams still have not yet announced a playing venue. While venues & rosters are still being finalized, tickets can be purchased from all teams. Based on the published schedules, the first pull of an MLU game will be Portland Stags at San Francisco Dogfish at 3pm PT/6pm ET. Huge announcement for exposure of Ultimate! Boulder, Colo. (March 19, 2013) — USA Ultimate, the national governing body for the sport of ultimate in the United States, and ESPN announced today a multi-year agreement to carry the sport's major properties – the College Championships and inaugural Triple Crown Tour, including the U.S. Open and the National Championships. The deal calls for ESPN to broadcast the sports 3 major events; the College Champions, the US Open & the National Championship. There will be both live and tape delayed coverage on the network's ESPN3 and ESPNU channels. With Major League Ultimate's season being scheduled before the Club Ultimate season, it makes sense that teams would draw from Club-level players. Over two-thirds of the Nighthawks' roster are Furious George players, with the remainder as former Furious teammates, as well as from Team Fisher Price & UBC (Knapp). 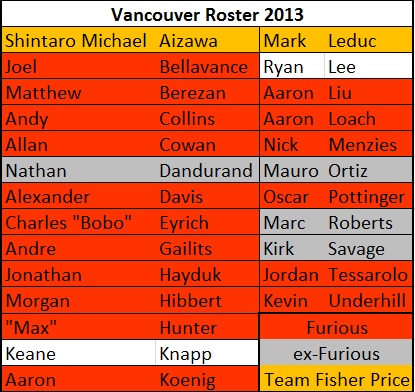 Vancouver Nighthawks' 2013 roster was compared to the Furious' 2012 roster. Out of the 25-person MLU roster, 17 (68%) are Furious George players. Thanks to Ryan Thompson who helped identify the non-Furious players, as well as the ex-Furious players rostered on Ultimate Canada 2012 teams. Related Rosters: DC . Seattle. Boston. San Fran. Muted celebrations greeted Sludge as its 30th Ultimate season began. Play at E. Brooke Middle School field started on a positive note as Sludge D converted a turnover into an early score; Joe to Matthew, 1-0. 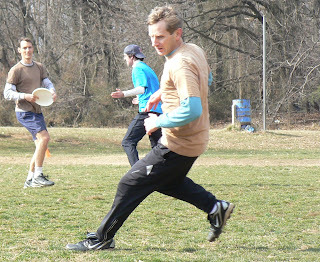 Sludge's only other point in the first half was a flow from Charlie to Joe to Rachel. The Sludge zone did pretty well by temporarily slowing Dr. Von Rhino's active cutting, but could not sustain containment. DVR's poach D was not exactly helping Sludge O. Let's just say: Jake & Griffin had more consistent flow rolling down the hill than Sludge in the first half (2-8). In the second half, Sludge tinkered with a horizontal stack (a.k.a. "pickup cutting") to counter the poaching. This led to a major offensive push - 2 consecutive points; Mike to Rachel & Bucci's inside-out to Mike, 4-8. 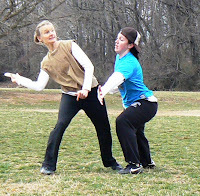 Later, in her return to Sludge Ultimate after a 1-year hiatus, Christy scored brown's 5th point. At 5-13, Michael's D led to a short field and then Joe's lofty zing to the endzone which Rachel skyd for; 6-13. Sludge had trouble maintaining possession, completing scoring opportunities in the endzone, and keeping up with DVR's quick transitions. What felt like should have been a closer game (maybe 10-15), turned into a 9-point loss; 6-15. 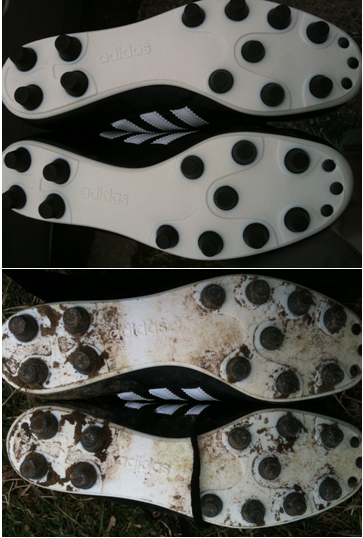 After one game of Ultimate Frisbee, the bottom of these new soccer Ultimate cleats are now well acquainted with the ground. 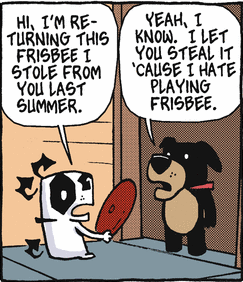 Since the fall of 1998, Sludge has been playing in the Washington Area Frisbee Club. 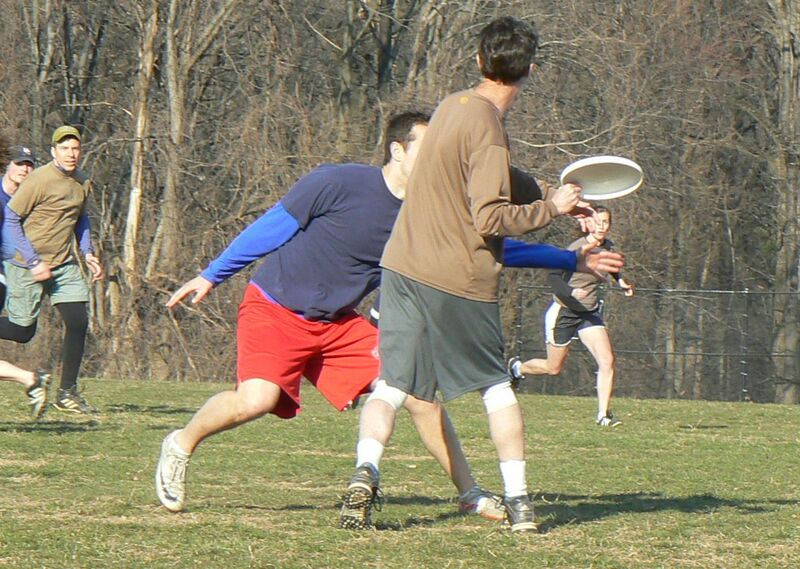 This 2013 spring league marks a milestone for the team - its 30th season! "Mere longevity is a good thing for those who watch Life from the side lines. For those who play the game, an hour may be a year, a single day's work an achievement for eternity." Week 1: Saturday, March 16 at 10am at Col. E. Brooke Lee Middle School. With Major League Ultimate's season being scheduled before the Club Ultimate season, it makes sense that teams would draw from Club-level players. The majority of the Dogfish roster are Revolver players, with the remainder from Bay Area club teams (Boost Mobile, Polar Bears, Blackbird, GrasSFace & Mischief). 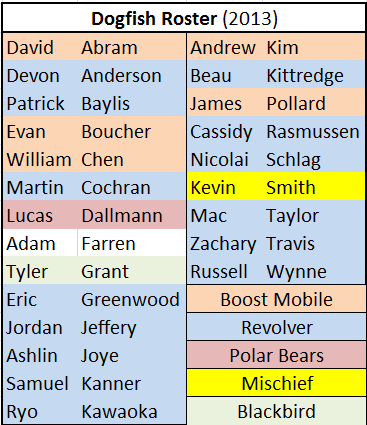 San Francisco Dogfish 2013 roster was compared to the Revolver 2012 roster. Out of the 23-person MLU roster, 14 (61%) are Revolver players. 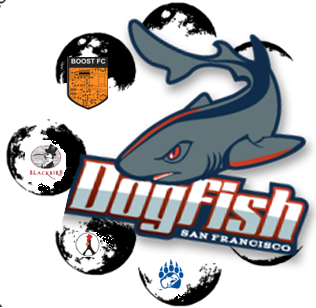 Based on published 2012 rosters, there are also 9 (39%) Dogfish players from other Bay Area club teams - Boost Mobile (5); Polar Bears, Blackbird, GrasSFace & Mischief (each mixed club team with 1). Related Rosters: DC . Seattle. Boston. Vancouver. Throwing the disc on the beach sounds even better with this gadget product. Info: This flying disc amplifier can be used as a flying disc and... wait for it... an amplifier. Simply place your phone, speaker, gadget into the hollow and the sound will be amplified doublefold! When not in use as an amplifier, flatten the Fli-Tunes and get active by using it as a flying disc. Great for the park or beach! 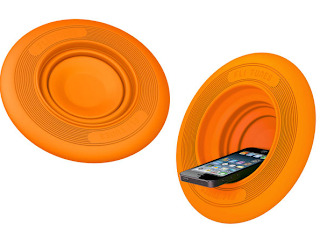 This is a Frisbee where you can pop out the center of it, stick in your smartphone, and it will volume boost the sound coming from your phone's speakers naturally. Of course given this setup we expect that you should be able to use a regular cup, or even one of those sand buckets kids use to collect sand and seashells in, but for the sake of novelty and efficiency (mostly novelty), we guess the Fli-Tunes will work just fine. The crucial piece of sports equipment for the game of Ultimate is, simply, an engineering marvel. Let's review the individual parts that make up a disc's structure. Lip or Rim: The outside wall of the disc. Flight Plate: The flat surface on the top of the disc. 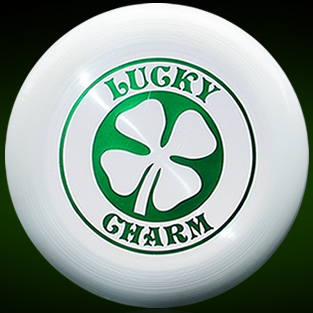 The disc design (hot stamp) is placed on the flight plate. Lines of Headrick: The flight rings named after Ed Headrick, the perfecter of the flying disc. Adding these raised ridges helped stablize disc flight. 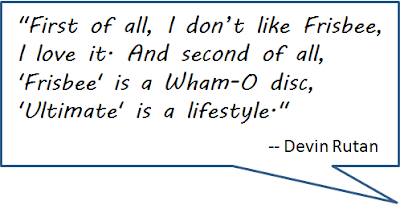 When Wham-O's patent for the flight rings expired, Discraft added them to the Ultra-Star and became the go-to Ultimate disc. 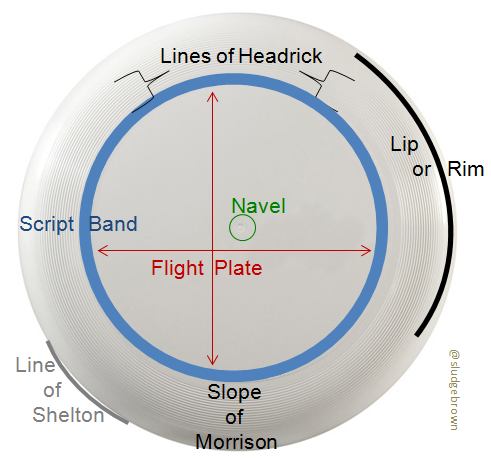 Line of Shelton: The mold line that runs around the lip of the disc. 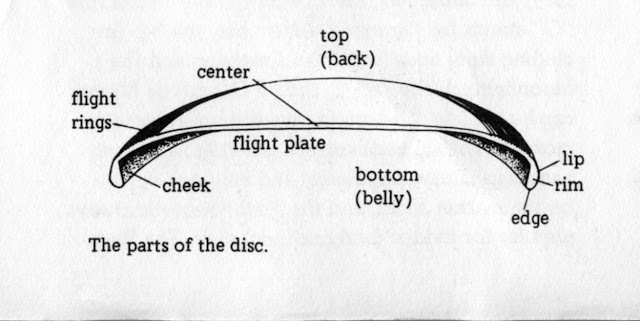 Named after Jay Shelton, a professor of physics and one of the first people to study the flight characteristics of a disc. Not to mention, a world distance record holder, plus a champion disc golfer & an individual Frisbee world champion. Navel: The center of the disc.There is usually a small, subtle spot leftover from the manufacturing process. Script Band: Acts like a big flight ring with an imprint of the disc name and model. Slope of Morrison: Named after Fred Morrison, the inventor of the Frisbee. This is the bent slope from the flight plate to the lip/rim. It was a major improvement from pie tins and popcorn lids and kept the disc from turning on its side on every throw. If at first you don't succeed, huck, huck again. 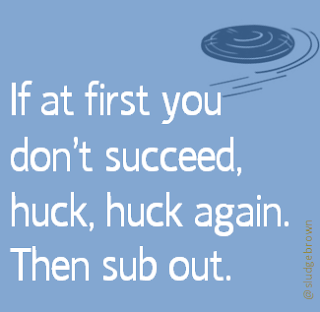 Then sub out. USA Ultimate announced their Under-23 Ultimate teams for the 2013 U-23 World Ultimate Championship (July 22-28, 2013 in Toronto, Canada). Three teams will represent the USA - mixed, men's & women. Roster age can be an interesting factor during the Club season. 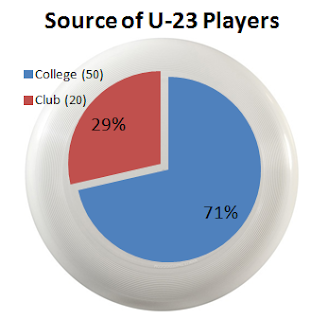 Of the chosen U-23 players, 71% (50) are listed from college/university teams, and 29% (20) are affiliated with club teams. The players provided USAU their team representation. NOTE: Source data is solely from USAU's announcement page, and then compiled. Reminder: Daylight Saving Time starts on Sunday morning at 2am. At which time, you lose one hour of sleep forward your clock one hour ahead. 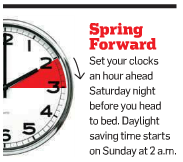 Alternatively, you may also set your clocks ahead before you go to bed. Your choice. 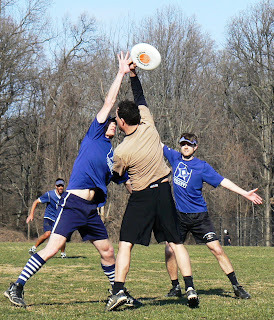 There are other ways to be on an MLU team besides being a pro Ultimate player. world why Ultimate is the greatest secret on Earth. 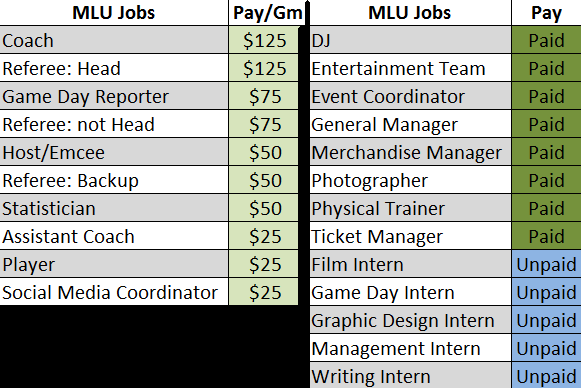 MLU team jobs: Paid per game (left side). "Paid" or "unpaid" (right side). An MLU team coach ($125) is paid 4 times more than an MLU player ($25). The Head Ref is paid the same amount as an MLU team coach; $125 per game. There are 8 "paid" jobs and 5 "unpaid" internships. An excellent, concise piece on MLU's San Francisco Dogfish was aired on March 6, 2013 on ABC7. 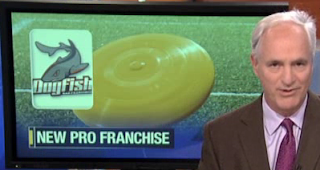 At the very end of the segment, Sportscaster Mike Shumann adds: "Frisbee was my minor in college." With Major League Ultimate's season being scheduled before the Club Ultimate season, it makes sense that teams would draw from Club-level players. Over half of Boston's roster are Ironside players, while the other half are mostly from mixed club teams (The Ghosts, Slow White, Wildcard,7 Figures & Darkwing). Boston Whitecaps 2013 roster was compared to Boston Ironside's 2012 roster. 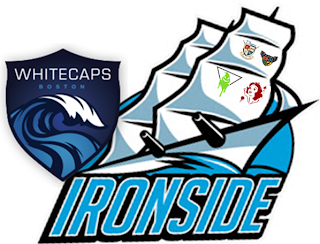 Out of the 25-person MLU roster, 13 (52%) are Ironside players. 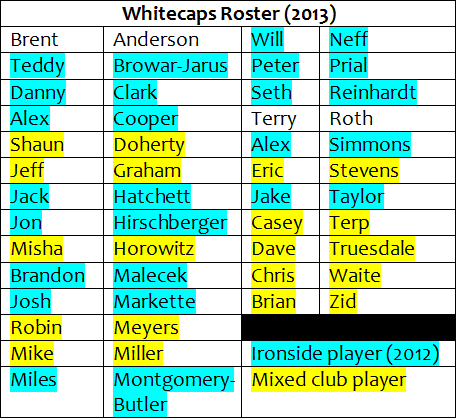 Based on published rosters, there are also 10 (40%) Whitecaps' players from mixed club teams - The Ghosts (4), Slow White (3), Wildcard (1) & 7 Figures (1), Darkwing (1). Related Rosters: DC . Seattle. Vancouver. San Fran. With Major League Ultimate's season being scheduled before the Club Ultimate season, it makes sense that teams would draw from Club-level players. Over half of Seattle's roster is Sockeye players. 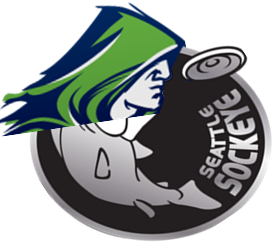 Seattle Rainmakers 2013 roster was compared to Seattle Sockeye's 2012 roster. Out of the 26-person MLU roster, 14 are Sockeye players (54%). Related Rosters: DC. Boston. San Fran. Vancouver. With Major League Ultimate's season being scheduled before the Club Ultimate season, it makes sense that teams would draw from Club-level players. DC's roster is nearly two-thirds Truck Stop players. 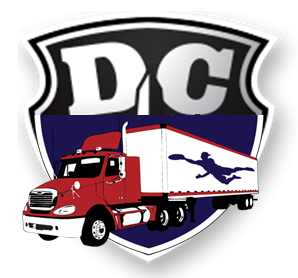 Washington DC's Current 2013 roster was compared to DC's Truck Stop 2012 roster. Out of the 23-person MLU roster, 15 are Truck Stop players (65%). Related Rosters: Seattle. Boston. San Fran. Vancouver.